PSA: Unless you are a Merman, please don’t sleep in the bath. This show was everything I wanted it to be, and for that I am thankful. It’s nice when you predict that you’re going to really enjoy an anime, and then you end up loving it. I expected cute mermen, borderline shounen-ai, and a hell of a lot of fun in the the bath. As is turns out, that is just what Orenchi no Furo Jijou was all about. It may not have been packed with surprises or twists, but every episode delivered something both amusing and sweet… and occasionally lewd as well. From the first episode I was in love with the visuals. They’re simple, yet effective. The colour palette is soft and fitting to the tone of the series, except of course for the opening, which was much more dramatic, black and white, and strangely sinister in comparison to the happy go lucky attitude that the show seemed to have. But as we got through the episodes and eventually reached a semi-serious scene where Wakasa leaves his bath in search for a missing Tatsumi, it starts to came sense why the opening was like that. It’s hard to be critical about Orenchi no Furo Jijou. It’s obvious what type of anime this would be from the get go, but it’s one I’m glad existed. It may not be remembered by many in years to come, but I certainly won’t be forgetting this little gem any time soon. I’m not into fujoshism but I agree with you. Though I actually didn’t watch the anime as I’m already reading the manga, it’s nice to see it getting a bit of recognition. It reminds me of the bromance vibes in Baka-Test (which I really liked). It deserves a second season for sure! agreed and agreed! baka test was fun! !….yeah really wasn’t getting to much gay vibes from this….but then i had to drop it at episode 4 because it really was not funny enough to me. that older show though..what was it called? seto no hay…..i don’t know the rest……that was a laugh RIOT!!!! It’s nice that this post review isn’t a bash at the anime like some others I’ve seen around forums. If my curiosity didn’t pique for this show, I would have missed out some laughs and fun to be had. 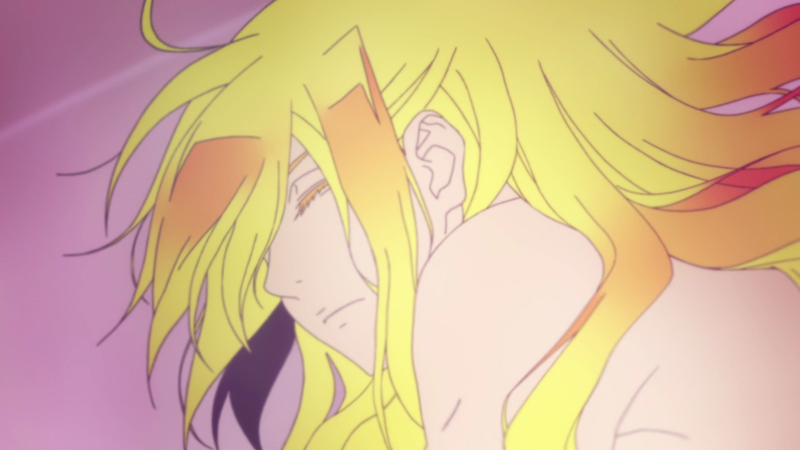 The circumstances that gave opportunities for Wakasa and Tatsumi to deepen their unlikely relationship (more like a close roommate or in this case bath-roommate if you ask me) would go beyond one’s predictability by which is due to some unexpected “developments” or other character involvement. In some way or another I’ve watched all the episodes and I could say it was interesting to watch since it fits my imagination of meeting a talking sea creature/merman hypothetically. The Best Bathtub Ever really does sum this series up. lol It’s soo random and sweet at times with just enough on the fence humour that it was just fun to watch.